Legal & Professional Government Relations in Washington, D.C. The Pennsylvania Avenue Group opened its doors in 2008 and is located in the heart of Washington, DC. The Pennsylvania Avenue Group delivers high quality, strategic, experienced and ethical services for clients in federal affairs matters. The Group has a diverse clientele operating on a bi-partisan basis. It has partnered with a national law firm and a former Member of Congress on clients and maintains strong relationships throughout Washington, D.C. and the federal government in order to best serve its clients. Our firm is centered in downtown Washington, DC, on the famous Avenue that connects the Capitol and the White House. We are easily found mid-way between the White House and the United States Capitol Building. Even if you are unsure if you need our lobbying assistance, make an appointment, and let’s discuss your options. When you choose to interact with the Federal Government, you need experienced, knowledgable professionals acting on your behalf. 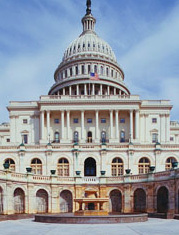 Our government relations group has significant experience in the US Senate, House and Executive Branch at all levels. We have a diverse clientele, and have routinely served our long term clients well. We have acheived a number of significant advancements for them over many years. Our founder, DC native and experienced attorney James E. Hyland, worked in the US Senate and House of Representatives for 19 years. James Hyland is a native of Washington, D.C. and lives in the Commonwealth of Virginia. He brings 19 years of Congressional experience to any federal affairs projects. He has a Bachelor of Arts from George Washington University (1982) and a Juris Doctorate degree from George Mason University School of Law (1989). Currently, he is a licensed member of the Bar in the Commonwealth of Virginia and District of Columbia. Let us be the firm you turn to for change in federal policy that advances your concerns or addresses issues that are important to you. Contact us in Washington, DC, to set up an initial consultation.